I’M GUESSING YOU HAVEN’T noticed, but I like to wear a different lapel pin every day on the Armchair Mayor. I have so many of them I expect that a year from now I won’t have worn any of them twice. I almost never seek them out — people like to hand out lapel pins wherever they go. I’ve got them from cities across Canada and several other countries. I’ve received them from charitable organizations, groups holding anniversaries and those raising money. Among my favourites, though, are my collections of Kami pins and Maple Leafs. And, of course, this time of year we all proudly and respectfully wear our red poppies in honour of our veterans. Recently, white poppies have come on the scene, worn by some as a message of peace. Today the poppy I wear is neither red nor white; it’s purple. The purple poppy, like the red, honours those who went to war. But it isn’t for people, it’s for the millions of animals who have served, often heroically, and very often at the cost of their own lives. They aren’t volunteers, although many of them perform amazing feats. They’ve been used as beasts of burden or for tracking, or for rescue, and they go to war because we ask them to and they answer the call. According to the Animals in War Memorial Fund, eight million horses and mules died in the First World War, the 100thanniversary of which we celebrate this year. One hundred thousand pigeons played crucial roles in communications. Dogs, camels, elephants, goats, even cats have served in many conflicts. 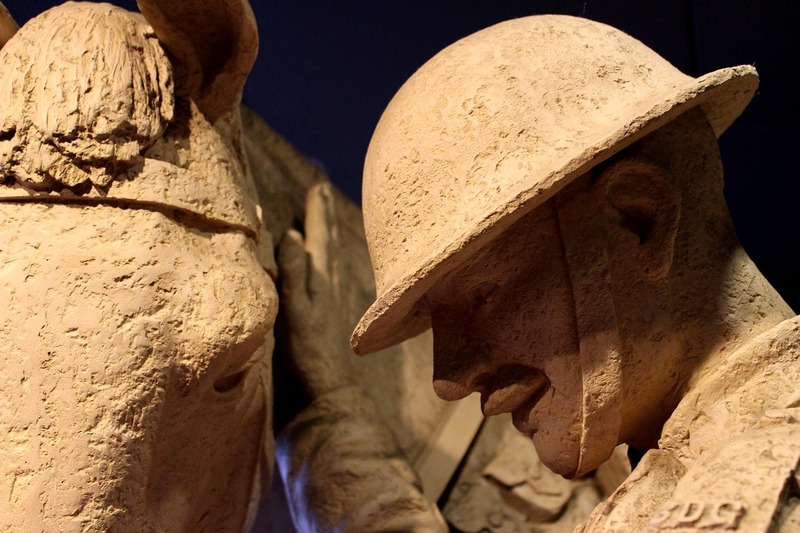 There are monuments to the animals of war in England and France. They even have their own medal, their version of the Victoria Cross. One recipient was a famous thoroughbred named Warrior, who perhaps inspired the fictional movie War Horse. 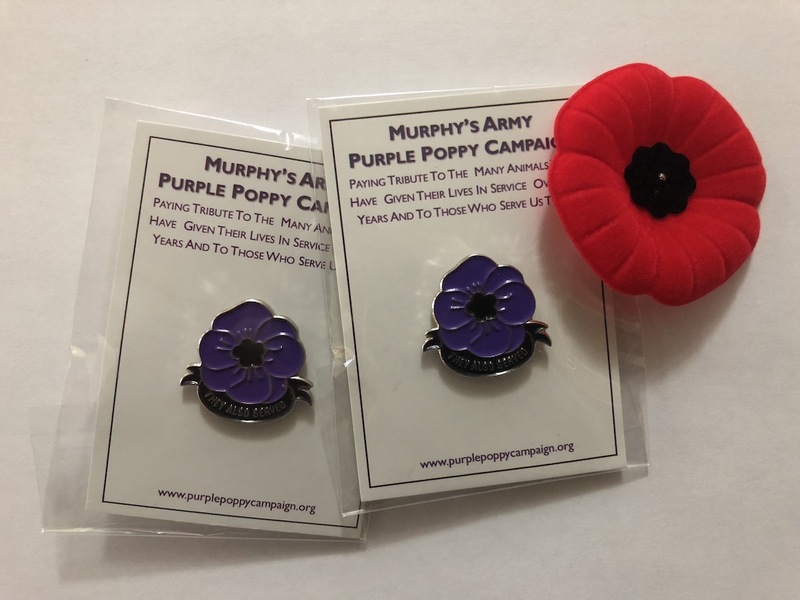 Purple poppy lapel pins aren’t easy to get — I ordered mine from the U.K. It says simply, “They also served,” and I’m proud to wear it during this season of remembrance. Lieutenant Colonel John McCrae wrote “In Flanders Fields” on the battlefront on May 3, 1915 during the second battle of Ypres, Belgium. The poem was in response to the death of friend and fellow soldier Lieutenant Alexis Helmer. Lieutenant Colonel John McCrae was to die in battle on January 28, 1918 in Wimereux, France. I have never seen a purple poppy, but love the idea of acknowledging and honouring the roles and contributions of animals in and during times of war. Also love any efforts to ensure animals are not abused nor treated cruely.